The Brewery Guest House Lohhof is idealy location for your stay in Munich and the surrounding area. 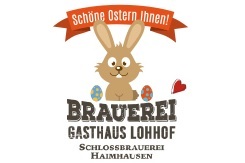 Our Brewery Guest House Lohhof is conveniently located in the north of Munich, in the city of Unterschleißheim / Lohhof. The airport train S1 departures almost in front of our door. Merely a one minute walk. It takes just 10 minutes by airport train S1 for you to arrive at the Munich Airport and only 25 minutes by airport train S1 to reach Munich Central Train Station. Via the connection to the Autobahn – motorway – A92 (Munich – Deggendorf) and the close proximity to the motorway junction Neufahrn Autobahn A9 (2 min. Drive away), you can reach the Munich Trade Fair in München Riem by car in 20 minutes and the Allianz Arena for Football games in just10 minutes.